Composable infrastructure permits the simple setting up of an adaptable resources, which can be powerfully clubbed together to serve the particular needs of any application. The setup enables organizations to acquire decrease underutilization and overprovisioning of assets and make an increasingly agile and affordable data center. The rising comprehension of these advantages is permitting improved development prospects for the global composable infrastructure market and new organizations are estimated to enter the industry in the following couple of years. The market is foreseen to profit by the continually moving face of the companies as well, with globalization of organizations requiring IT infrastructure that is effectively crumbled and reconfigured to serve an expansive set of operation proficiently. The market is additionally determined by the rising number of organizations receiving DevOps approach for the advancement of uses, execution of which requires the advent of an agile infrastructure to stay aware of the changing buyer requests. Different components expected to work for the market incorporate the rising appropriation of robotization crosswise over efforts, expanded utilization of standardization devices, and the increased usage of hybrid cloud. In the following couple of years also, these elements will keep on fueling the growth of the global composable infrastructure market. From a regional perspective, the market is inspected for region, for example, North America, Europe, Asia Pacific, Middle East and Africa, and South and Central America. Currently, the market has few organizations inferable from the novelty related with it. In any case, new organizations are likely to enter into the market in the span of coming years. In the field of information technology, the term composable infrastructure refers to a system formed by abstracting storage, computing, and networking resources from their physical locations and managed through a virtual interface by software. Converting data centre resources into composable infrastructure is like converting applications, data, and processes to cloud-based services for added agility and ready availability irrespective of the location of access. Composable infrastructure allows the elimination of the need for installing customized networking solutions, new physical servers, and storage solutions to support new applications, which is often required in systems that have a traditional infrastructure model. The report provides an overview of the impact of various growth drivers, restraints, and current trends on market’s overall development over the period between 2018 and 2028. 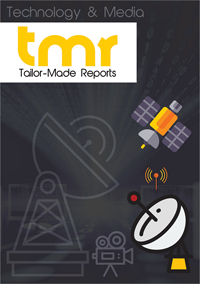 With the help of the vast market data featured in the report, which is gathered with the help of a number of primary and secondary research methodologies and narrowed-down with the help of a number of industry-best analytical methods, the report makes for an excellent data repository that can suitably solve many market-related queries. Composable infrastructure allows the easy provision of a flexible set of resources that can be dynamically clubbed together to cater to the specific needs of any application. The setup allows companies to bring reduction in overprovisioning and underutilization of resources and create a more economical and agile data center. The rising understanding of these benefits is allowing improved growth prospects for the global composable infrastructure market and new companies are expected to enter the field in the next few years. The market is also expected to benefit from the constantly shifting face of the enterprises, with globalization of businesses requiring IT infrastructure that is easily disintegrated and reconfigured to serve a large set of tasks efficiently. The market is also driven by the rising number of companies adopting DevOps methodology for the development of applications, implementation of which requires the presence of an agile infrastructure to keep up with the changing consumer demands. Other factors expected to work in favor of the market include the rising adoption of automation across enterprises, increased use of standardization tools, and the rising usage of hybrid cloud. In the next few years as well, these factors will continue to drive the global composable infrastructure market. The report segments the global composable infrastructure market based on a certain key criteria to present a much detailed account of the growth prospects of the market in the next few years. The market is segmented based on type, application area, and geography. Based on type, the market is segmented into software and hardware. Applications of composable infrastructure in industries such as healthcare, manufacturing, IT and telecommunications, BFSI, and public services are examined. From a geographical point of view, the market is examined for regions such as Europe, North America, Asia Pacific, South and Central America, and Middle East and Africa. A thorough account of the competitive dynamics of the global composable infrastructure market is also included in the report. The market presently has few companies owing to the relative novelty associated with it. However, new companies are expected to foray into the market in the near future. Some of the leading companies in the market presently are Cisco, Hewlett Packard Enterprise (HPE).